Humidification is vital for maintaining the natural balance of heat and moisture in the airways. 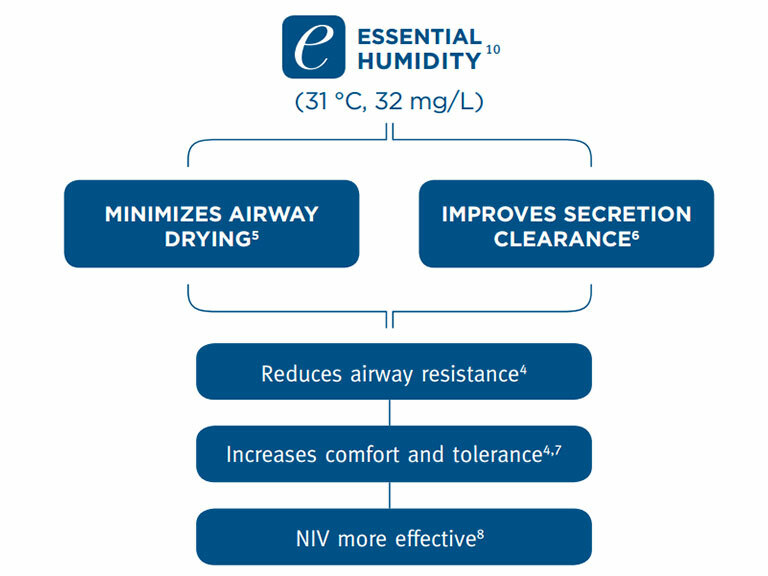 Without Essential Humidity, the high pressures and flow rates used with NIV can overwhelm the patient’s natural conditioning mechanism. Large volumes of cool, dry gas may cause the patient’s already compromised respiratory system to deteriorate further. Active humidification is suggested for noninvasive ventilation (NIV) as it may improve adherence and comfort. 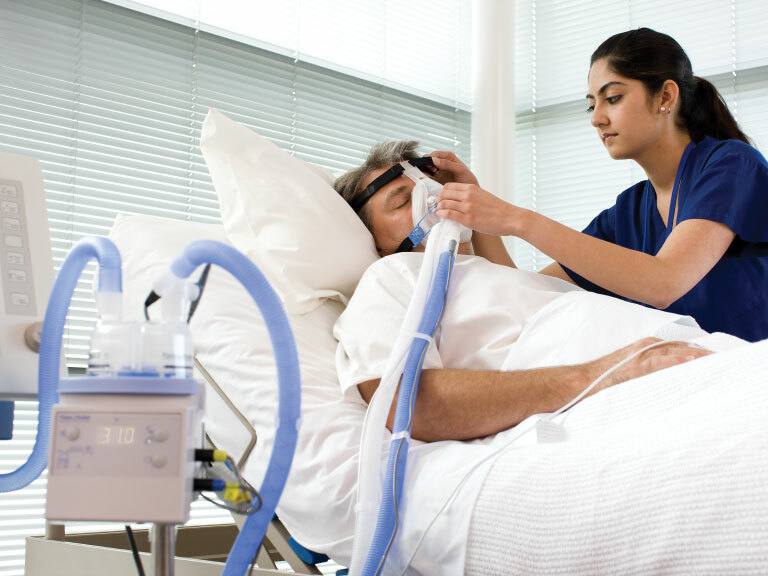 Passive humidification (HME) is not recommended for noninvasive ventilation. Essential Humidity compensates for the cooling and drying effects of ventilation gases. COPD is characterized by a range of pathological changes, including airway ciliary dysfunction and mucous hypersecretion. The inflammatory and structural changes increase with severity. Exacerbations represent a further amplification of the inflammatory response. To improve outcomes and prevent readmissions, we need to optimize management of acute COPD exacerbations. Active humidification has been shown to improve mucociliary clearance. It should be used in the presence of copious secretions.